If you’re looking for a game to play in the evening, after you come back home from work, we suggest two games that have recently landed on the Xbox Store: Mystery Castle and Coffin Dodgers. These are two interesting games that will relax your brain after a hard day and will also entertain you. Mystery Castle is a puzzle game for all the players who love adventure, treasure hunting, transforming into creatures, drinking potions, explosions, magic portals, throwing bombs at giant monsters and laughing out loud. As you dive into the game, you will also meet creatures that will shock you: inept wizards, witless golems, grumpy dwarfs and cheerful eskimos. As Monty the Wizard you can also possess monsters thanks to your magical powers. There are 180 unique stages available and your task is to save the five Castles of Mystery from the evil that lurks within. You will meet evil creatures you have to annihilate, as well as friendly creatures who will give you helpful pieces of advice. Always double check before you take a step, danger is lurking everywhere: boiling lava, Fire Golems, perilous sheets of ice, bottomless abysses. You will also need to transform yourself into a troll, a bat or a frog to accomplish various tasks. Coffin Dodgers bestows a highly important task on your shoulders: saving one of the seven quirky retirement village residents. They are all racing for their soul on mobility scooters against the Grim Reaper himself. The Grim Reaper and his army of zombies throw various objects against the residents and they protect themselves with a variety of homemade weapons and gadgets. You must battle against The Grim Reaper and other competitors over a 13 race Championship. Four tournaments are available in which your rank against other competitors opens you the door to the next stage. 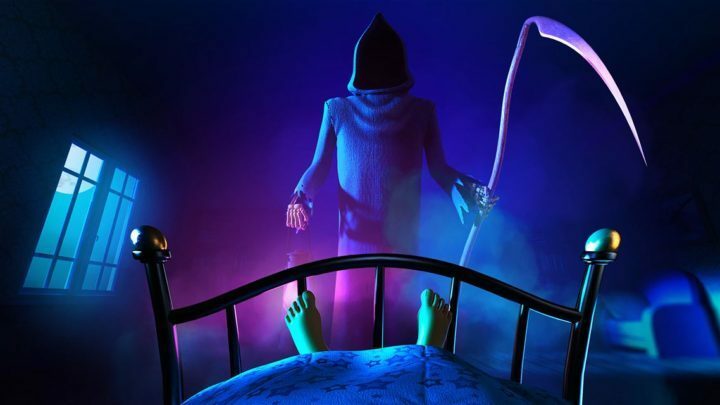 If you finish on the last place, the Reaper will take your soul. Collect XP throughout the Single Player Story Mode to gain coins you can spend in the garage to upgrade your engine parts and weapons to get an edge over your competitors. You can download Mystery Castle from the Xbox Store for $9.99. Coffin Dodgers is available in the Xbox Store for a price tag of $11.99.